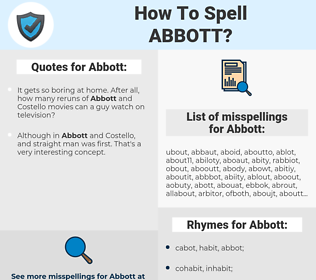 What are the misspellings for Abbott? What are the common mistypes for Abbott? What are the quotes for Abbott? What are the rhymes for Abbott? 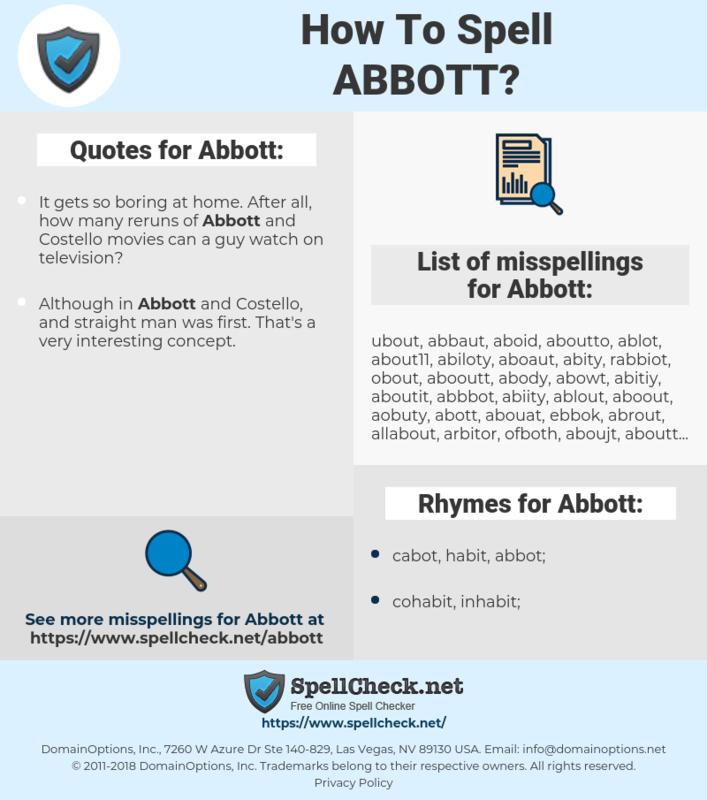 What are the common typos for Abbott? Abbott as a boy's name is of Old English origin, and the meaning of Abbott is "father, priest". An abbot is the head of a religious community of monks living in a monastery, so the original bearers of this name (as a surname) may have worked for an abbot. Also, the name may have originated as a teasing nickname for a man with the grave and pious attitude associated with an abbot. Use as a first name occurred mostly in the 19th century. In the 1940s and early 1950s Bud Abbott served as a straight man to short chubby comedian Lou Costello. This graph shows how "Abbott" have occurred between 1800 and 2008 in a corpus of English books.